Why should we invest in interactive 3D floor plans? What makes it tick? What makes it the best investment for your presentation and why should architectural firms adapt and embrace this new technology for their business? For one interactive 3D floor plans are definitely the future look of how we would look at floor plans in a business sense as well as in an architectural sense. Having these types of 3D floor plans may also bring in the wow factor for people who would view the plans. 3D floor plans can also provide great ways of detailing an incomplete building. This is greatest edge that investing in 3D floor plans. Unlike regular run of the mill plans, these 3d plans represent the future and displays great ease in using it which will deeply benefit both architects, real estate agents and even home buyers and owners. 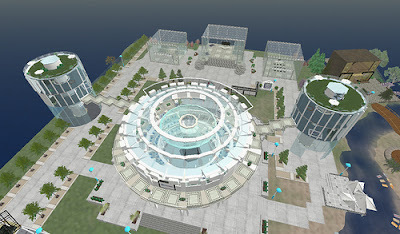 3Dwalkthroughs.com came across an interesting application utilizing 3D Virtual World Technology. VRWorkplace was founded by Dave Elchoness, an experienced attorney and HR consultant, who realized that there were many challenges facing organizations that struggle to maintain and improve productivity and efficiency despite distance, cultural differences, and tight travel budgets. A 3D virtual environment could tackle a lot of these challenges and make a person’s location irrelevant. VRWorkplace advises enterprises on how virtual reality can benefit their employees, customers, and members. The service provides a realistic and practical way of eliminating the challenges of distance, improving collaboration, and enriching relationships. We believe early adopters and pioneers such as Dave will play a big role in the success and utilization of 3D Virtual Worlds for “Real World Business” applications. Aside from entrepeneurs such as Dave, an increased number open minded CEO’s will also be required for this type of technology to explode. We thoroughly believe that in 3-5 years, websites as we know them today will be obsolete, and companies such as VRWorkplace will be the norm. Another interesting note: IBM launched a TV spot during the Playoff games on Saturday which talked about virtual world technology, and the debate over whether or not real business could get done in a virtual environment. I think the answer to that questions lies in the fact that IBM was willing to pay the exhorbitant amount of money it costs to post an ad during a playoff game. As per yesterday’s post, some of the 3Dwalkthroughs.com staff is currently visiting Las Vegas. Each time we come to Vegas we try and stay in a different hotel just to mix things up a bit. This time we selected the Mandalay Bay. I must say it is one of the nicest hotels on the strip. Aside from very spacious rooms and a helpful staff, the lobby and common areas are very opulent. When choosing a hotel room, especially in Vegas where there are many choices, it would be very helpful to have 3D Floor Plans to view on a hotels website. 3D Floor Plans give a much more telling view of a hotel room than typical 2D Floor Plans or even pictures. Even better than just 3D Floor Plans are Interactive 3D Floor Plans. These floor plans allow for other media types to be integrated into the 3D Plan such as: Video, Pictures, Text, and even panoramic images. We have been urging many of these hotels to start including 3D Floor Plans on their websites…we will see if they heed our advice. An article in today’s NY Times describes a phenomenon that happens every year beginning right after Thanksgiving. The phenomenon is the larger than normal influx of tourists visiting from around the world. The big joke is that if you are looking to find a native New Yorker during Christmas time, the last place you want to look is New York City. The difference this year compared to previous years is, in addition to stores and malls being packed with tourists, real estate offices are also busy with tourists (specifically European) looking to take advantage of the weak US dollar by purchasing NYC condo properties. Many of these tourists are looking at these properties as investments as opposed to a changing their residences. Foreign buyers are helping shield Manhattan from the housing slowdown that has plagued the rest of the nation and are providing a ready market for thousands of newly built condominiums. They like condos for the amenities and flexible rules that allow renting the apartments as investments. That many units are in neighborhoods that are not traditionally residential like Midtown and the financial district does not seem to bother the shoppers. They like that those neighborhoods are well known. 3Dwalkthroughs.com believes that the influx of European condo shoppers emphasizes the growing need for 3D Walkthroughs, 3D Renderings and 3D Floor Plans of properties that are not yet built. Foreign investors can make the most of their time in NYC by using our 3D assets to preview development properties from the luxury of their home computer. This helps them to narrow the number of properties they need to visit while in New York. As I said in yesterday’s post, within every tough market lies hidden opportunities. The staff at 3Dwalkthroughs.com is currently visiting Charleston, South Carolina to meet with one of the top real estate agents in the nation. During our down time we were able to check out some of the sights and sounds of downtown Charleston. We became friendly with former New Yorkers and current owners of the contemporary clothing and accessories store BZAR. It must have been our lucky day as it turned out the owners were hosting a huge party at the site of a very ambitious new development project. The party featured artists, DJ’s and breakdancers (the breakdancers were certainly not from New York). After returning home from the party we investigated this development project further. The project entitled Noisette, is being developed on a 3,000 acre plot of land in North Charleston. The website provides intimate details of the project including some 3D Renderings and video. In an effort to make sure all the details of this impressive project are explained correctly, please read the description below taken directly from their website. For such a large project they are the perfect candidate for our 3D Walkthroughs, 3D Renderings and 3D Floor Plans. Here is the description of the project. Source: Noisettesc.com website. Noisette is a 3,000 acre city-within-a-city. 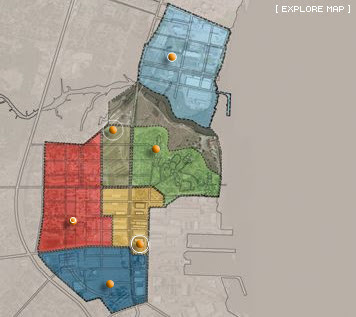 It is an area of North Charleston, South Carolina targeted for integrated restoration as a sustainable community – modeled on the belief that cities must be equally responsive to social needs, environmental responsibility and economic vitality (the philosophy embodied by people, planet, prosperity). The Noisette community boundaries are roughly those that defined North Charleston when that community was incorporated in 1973. However, in the last 30 years, through annexation and “green-field” subdivision development, North Charleston has expanded into one of the state’s largest cities. Today, the Noisette area represents only a small corner of its parent city. Located beside the Cooper River, the main tributary of the South’s most famous harbor, the Noisette area supports a racially and economically diverse population of 13,000 people, plus a daily influx of thousands of workers, shoppers, students and others. It includes a wide mix of neighborhoods, retail areas, industries, schools, municipal buildings and parks, many of which have remained relatively stable in profile despite the rapid development of the Charleston/North Charleston metropolitan area. For example, historic Noisette neighborhoods like Liberty Hill – founded in 1878 as a community of freed slaves – include many homes occupied by fifth generation owners. The layout of Park Circle, a mixed-use recreation center designed in the late 19th century, still reflects its original vision as a leisurely melting pot for residents and visitors. The East Montague Avenue business district looks much as it did in the days of two-dollar haircuts. Other assets of interest include a network of tidal creeks, marshes and protected wetlands bordering the Cooper River. There’s also a range of well-preserved architectural structures and details, especially on property developed by the U.S. Navy. Their engineers arrived in 1901 to build a major base and shipyard, then the Navy’s collection of residential and industrial structures was vacated during the base closures of 1995. That base closure was the trigger for development of the Noisette concept. Who’s behind the Noisette project? In a unique public-private partnership, the Noisette Company and the City of North Charleston teamed up in the late 1990s to revitalize the Noisette area. In exchange for the right to purchase 400 acres of old Navy base property at the city-appriased fair market value – a small portion of the land promised to the city after the Navy’s departure – Noisette Company principal John Knott agreed to launch a master planning effort on an unprecedented scale. Outline Noisette Company plans for the development of their proprietary section of the old Navy base, and help guide the city’s efforts to redevelop the adjacent 2,600 acres of private residential neighborhoods, private commercial structures, and municipal property. Contracting with two of the country’s premier architectural and land planning firms, and in consultation with an international group of environmental, social and professional organizations, Knott’s team created an outline for restoration of a healthy, sustainable, human-scale community. The plan seeks to preserve historic architectural styles, neighborhood diversity and the area’s unique social fabric. It also works to restore environmental stability and beauty, attract jobs, improve services like education and healthcare, reduce dependence on car travel, promote recreation, eliminate the foundations of crime and poverty, and strengthen the sense of pride many North Charleston resident feel toward their community. After years of development, community input and revisions, the master plan was presented to the City of North Charleston in December 2003. It was reviewed in community meetings, neighborhood gatherings and private one-on-one sessions. And it was accepted by the City as satisfaction of the Noisette Company’s contractual agreement in early 2004. You are currently browsing the archives for the interactive 3D Floor Plans category.